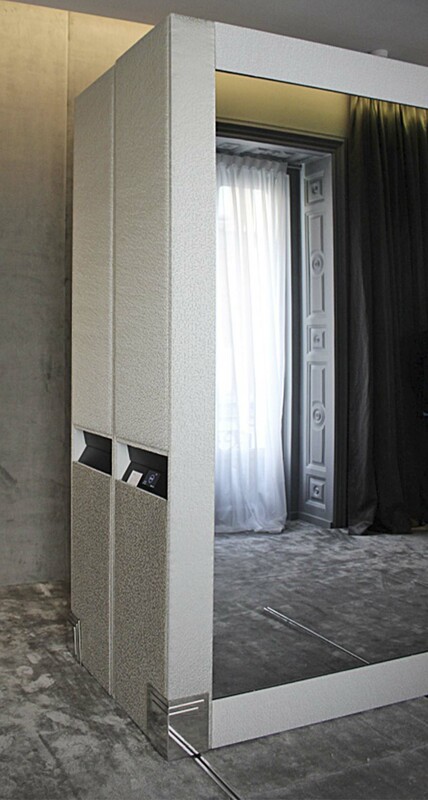 Sara Folch Interior Design used technology to create automatic sliding furniture in a dressing room. One of the best interior design projects in all CasaDecor 2015 in Madrid. 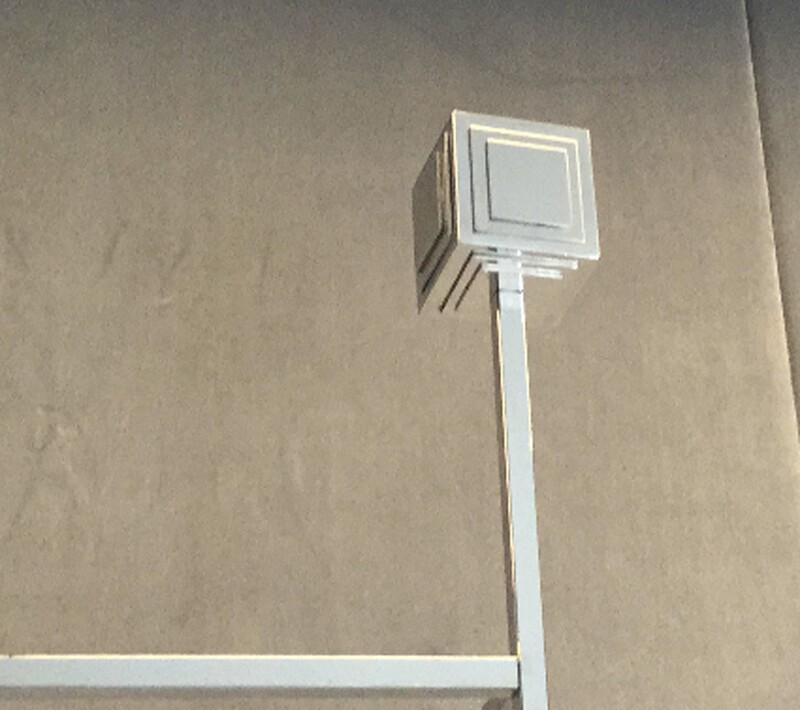 In the middle of the room, a piece of furniture pops up. As the team at Sara Folch Interior Design Studio called, a bonbon box. 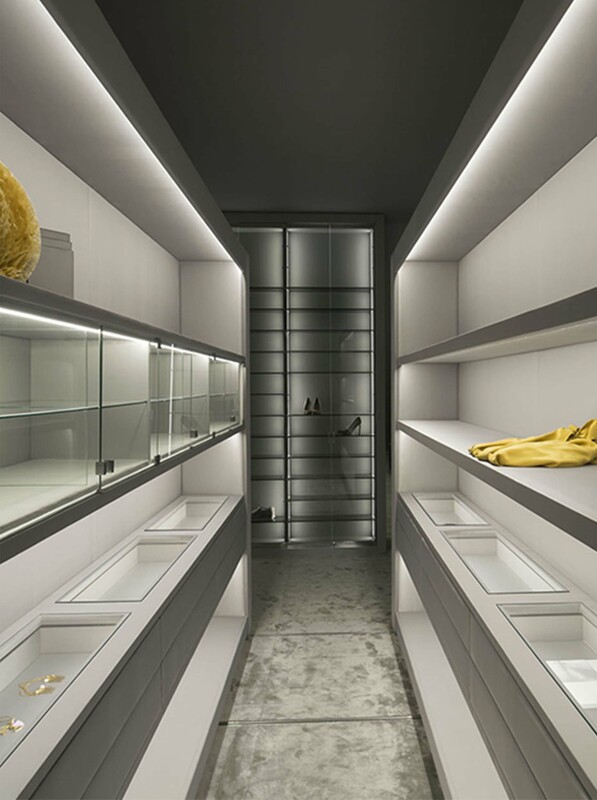 This high-tech luxury furniture is not only a large box in the middle of a dressing room but also a safe box which allows the client to save their jewelry in a secure and beautiful way. This was an ephemeral interior design project in Madrid back in 2015. 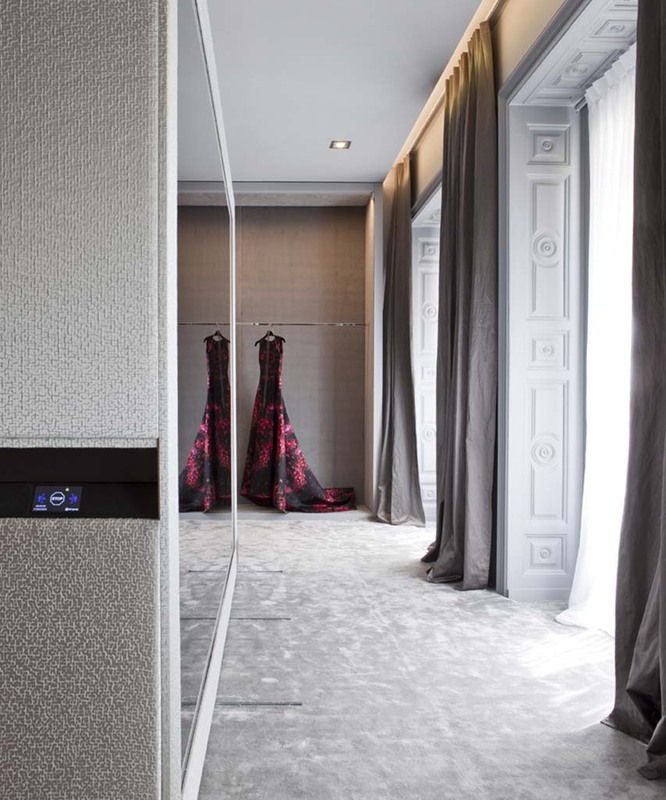 The interior design Barcelona studio has always mix technology with design in different interior design projects. 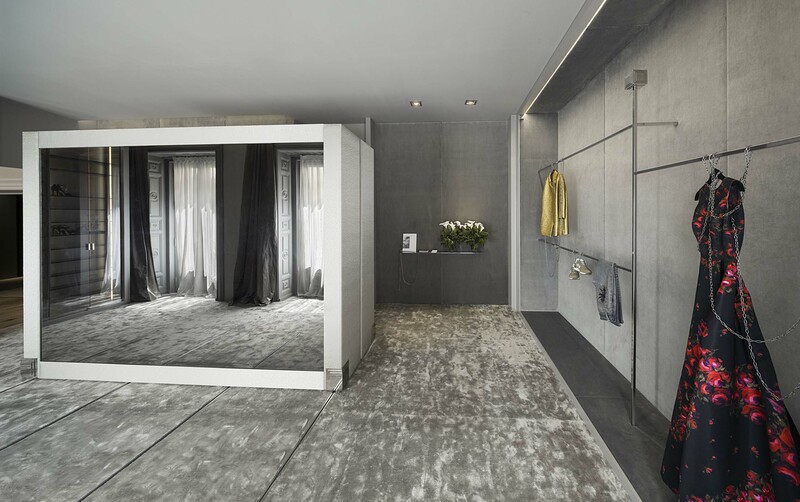 The major example though comes to this dressing room design project. The team worked on an ephemeral project for some weeks in Madrid. The proposal was to create a luxury interior design project to transform a blank space into something magical that everyone would love to use. The idea came down to a dressing room but with a central and most important piece of furniture. The box, also known as bonbon box, allowed people to save their biggest sweets without worrying about the security of the items. The reason because clients don’t have to worry about security is that this bonbon box automatically opens and closes with an engine. It is activated with an electronic device, as it is a smart-home interior design project, or with a code that you preset beforehand on your automatic sliding furniture. The team at the interior design Barcelona studio worked with engineers and the best carpenters around to deliver this as the best interior design project during the ephemeral event. To become the most popular design space, Sara Folch Interior Design worked with velvet walls mixed with silk carpets. 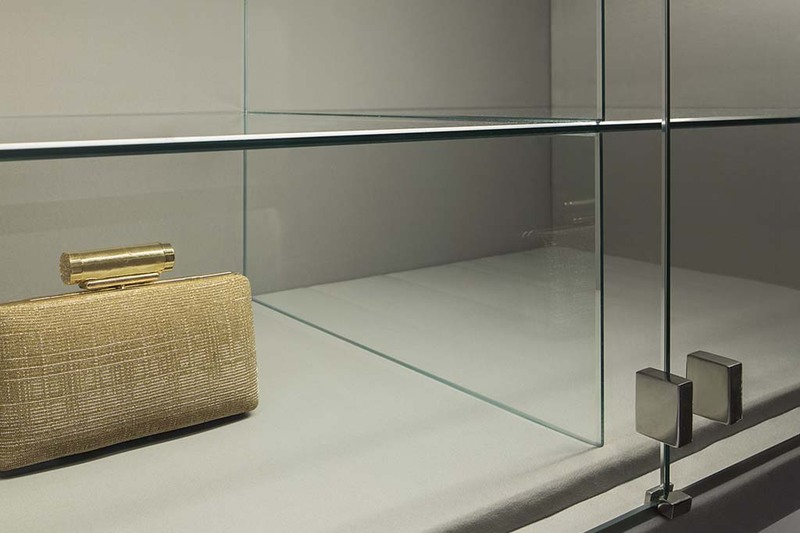 All of these luxury materials where, of course, selected to maximize the feeling of freedom and comfort a dressing room has to have. With the interior design project, the client felt how everything was styled to its interests, a big and large space complemented with the bars to hang the clothes around the room. As most of Sara Folch Interior Design elements, this interior design project had its exclusive interior design accessories around the room. Some of them were the unique hanging bars where dresses and clothes hanged at a view. 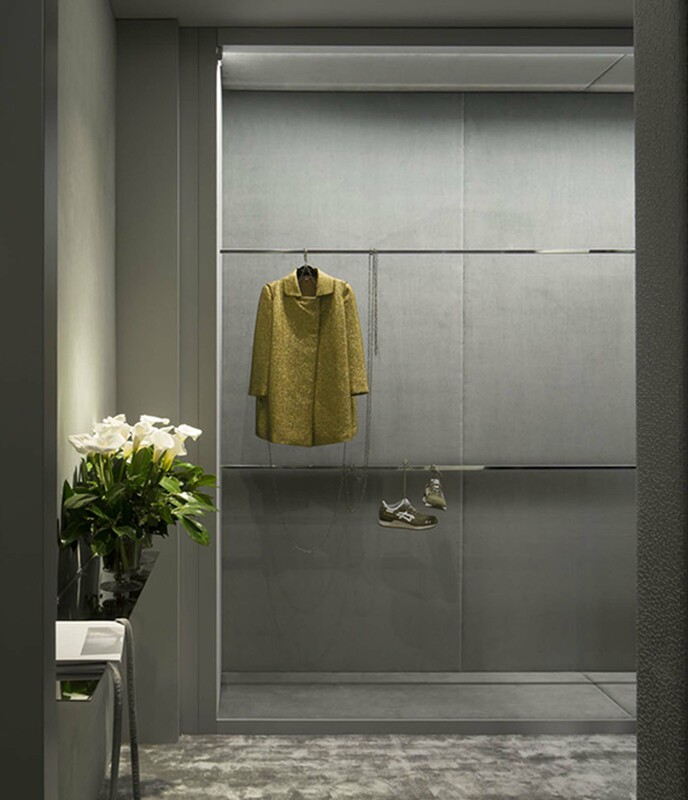 For Sara Folch Interior Design, light dresses the space so light design was taken into consideration while designing the project. The light was studied to never change even though the natural light coming through the windows. A light design though that was combined with a special painting and a colorful touch, thanks to the dress, creating a new perception for the client. 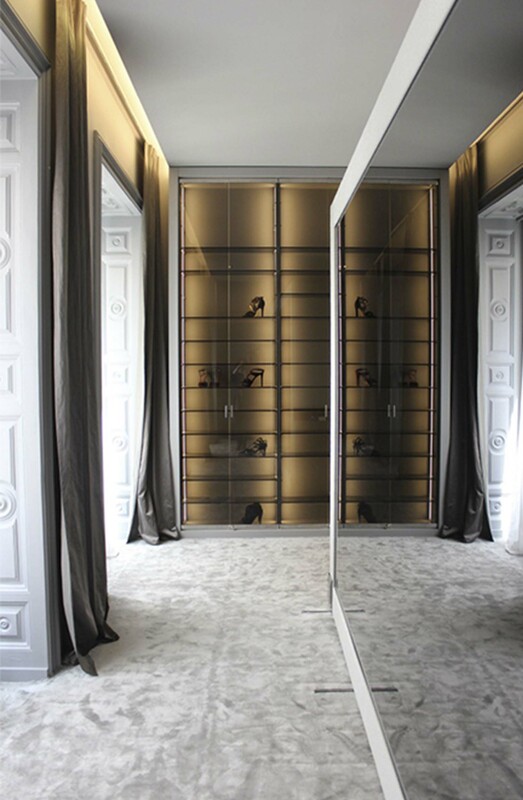 This space takes the interior design Madrid client into a new and magical room, where walking barefoot is a luxury. Check all of Sara Folch Interior Design projects to know more about the type of work from the company.